Arclife was the recording and distribution arm of a Dunedin not-for-profit community organisation run by a charitable trust as an adjunct to their cafe and performance space, Arc Cafe. From 1997 until the mid 2000s the label released a number of albums and compilations, mainly from artists that performed at the cafe itself. I recently had a listen to some of the recordings that came out on this label and I was really taken by the strength of the female artists on the label's catalogue. Demarnia Lloyd started her musical career with Dunedin indie-poppers Munky Kramp and went on to feature in Mink with George Henderson of the Puddle before forming Cloudboy, whose 2001 album of ethereal trip hop Down At The End Of The Garden had critics gushing. Also well worth hearing is Dermania Lloyd's even more delicate solo E.P. from the following year, Set Upon A Curve. There are a small number of Cloudboy remixes, alternate versions and unreleased tracks available on their myspace page. Sola Monday was another regular performer at Arc Cafe. In 2002 she released a solo album on Arclife titled The Swing Festival. The album took many years to complete and ended up featuring a large cast of musicians, including many from Cloudboy and other bands that frequented the Arc stage, as well as some from further afield like Julia Deans from Fur Patrol. For some reason however, it's the drumming that always stands out to me when I hear this album, they're played in brilliantly expressive style by Stefan Neville. At it's best this album includes some cleverly constructed catchy pop songs with intriguing surrealistic lyrics that like Renee Louise Carafice's album from last year, Tells You To Fight, seems to describe Sola Mondays journey through a breakdown - "Kate was out on daily leave, floating out amid the weave. Somehow caffeine's just the same before and after going insane". The Arclife catalogue includes a number of great compilations. On the 2002 compilation Arc Beats the track 'Sleep To Dream' starts with synths and keys before a a hypnotic mid-tempo beat kicks in, only making room for another smattering of synths at the mid-way point before coming to a close at around the six minute mark. Rather than sending you to sleep as the title suggests the beat makes you sit up and take notice and I've often found that this number is so catchy it stays with me for days after listening. The track is by Magnolia, made up of Lou Kewene and Stephen Smalls who went on to change their name to Magnolia Corporation, and have released an album electronic music, The Sundowner Sessions. The title track of earlier compilation, Flying Way Too High is by Jay Clarkson. Jay has been on the music scene since the early 198os, first with The Playthings, then They Were Expendable. 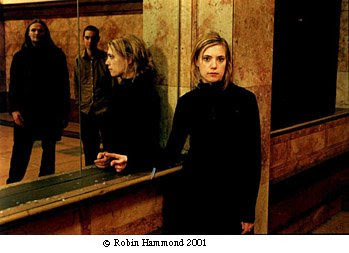 She had solo work released on Flying Nun and in 1999 released an acclaimed solo album, Kindle on ArcLife. There's a video of a one of her Flying Nun era tracks, 'The Boy With The Sad Hands' on the video page. On the same compilation is 'Postcards' by Beckoning South. The song is simple but what carries it is the singing of Ana Boelima and Reb Fountain. Reb has gone on to have a burgeoning solo career with two great albums Like Water (sharing it's name with another of her early groups) and Holster. It's a great shame that Beckoning South didn't produce more music although as well as Reb's success, songwriter and guitarist Pete Hobbs went on to Kitset and later to compose music for television. I've added a video from Reb Fountain's Like Water album to the video page. Keep tuned for another feature on Arclife soon, as there's a lot more great material in their catalogue that deserves exposure.